Tarps Plus Blog: Take A Look At Our High Quality Boat Tarps! Take A Look At Our High Quality Boat Tarps! Tarps Plus now carries some of the best boat tarps available. Summer is coming and now having a great heavy duty boat tarp is very important to maintain your boat's interior. These boat tarps come in many different sizes and styles. You are bound to find the boat tarp that fits your boat like a glove. These boat tarps wont shrink or stretch. Because of the boat tarp fabric coating technology, the tarp resists dirt and stains while providing water resistance. The UV treatment helps your boat tarp last longer. 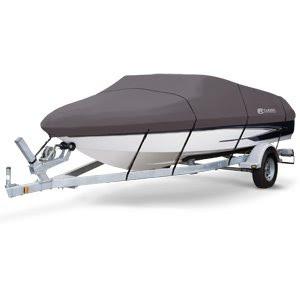 To see all of our boat tarps, take a look on our tarps plus boat tarps section. I agree that these boat tarps are great!! I love my boat tarp. From now on I will buy them from tarps plus. The elements were ravaging my boat. I was helpless and then I found Tarps Plus. Truly the best, thanks Tarps Plus. At first i was skeptical about this boat cover. I was afraid it was going to be not as tightly fitted as shown here. Well i was wrong. I a major storm blew through a port off of mami beach. My boat was there and i knew i'll be looking at thousands of dollars worth of uspostery damage. To my amazement it was dry as a whistle. Thank you Tarps Plus. My boat tarp was absolutely flawless. I was kind of skeptical about ordering online but was refreshed when i received my order within 3 days and worked perfectly. The boat tarp we purchased here cost less and was better quality then anything we saw at the marine supply..
Gym Floor Covers On Sale! Get your Schools Baseball Field Tarp Here!